July New Release Giveaway Hop! Hosted by Book Twirps and Refracted Light Reviews! Again, I have decided to join the monthly giveaway hop! Ends July 31st! The winner will get to pick from the following books! I'd probably pick "Once"! Thanks so much for the chance! I would choose Pushing The Limits. Thank you so much for the chance to win! I would choose Pushing the Limits. :) Thank you for the giveaway! Once! Thanks for the giveaway, Claire! Hmmm.......Pushing the Limits or The Forsaken. The Forsaken. :D Thank you! I would choose Pushing the Limits. Or The Forsaken. I'd choose Seraphina. Dying to read it! I would choose Endlessly Thanks so much for the giveaway! Honestly, I have NO IDEA! Thank you so much for the givaway! no idea, would have to go look at my huge list of books that are released in july, lol. thanks for the giveaway. I've been waiting on Once for a while!! I'm torn between Endlessly and Pushing the Limits! I would pick Once or Seraphina. Thank for the giveaway, in my case, I'd choose Pushing the Limits! Pushing the limits or endlessly! Thanks for the giveaway you rock! I would love to get Endlessly! Thanks for the giveaway! I would love Seraphina. Thanks for the chance at this great giveaway! Probably Seraphina - heard so many awesome things and sounds right up my street! Maybe the forsaken - I love the cover! Which book would you choose? Don't worry, you can always change your mind! 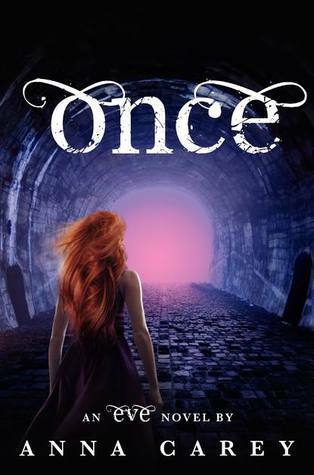 Once! Although I also need to read Eve - eeep! I think I'd choose The Forsaken or Pushing the Limit *crossing fingers* *hoping I could win* thank you for the giveaway! I wold like Pushing The Limits . I think I would pick Seraphina, or Pushing the Limits or Endlessley lol! I'd pick Seraphina. Thanks for an awesome giveaway! Hi! I would love to read Otherkin thanks! I'd pick Pushing The Limits or Once. :] Thanks for the giveaway! I would choose The Forsaken..but Seraphina looks AWESOME as well. I would choose Endlessly!!! Thank you!!! Thanks for partcipating in this hop! I'd choose The Forsaken - looks pretty good. Pushing the Limits or Once :) thanks for the giveaway! I would choose Pushing the Limits. Thanks for the chance to win! Thanks for the giveaway! I'd probably pick Once. Either Seraphina or The Forsaken. The covers for those posted here are so much better than the US versions. THANK YOU!! Claire I don't know how you do it but seriously all of these giveaways you do... AWESOME! Super nice of you to do so much. If I won it would be a hard decision but I think I would go with Pushing the Limits. Thank you again!!! I would probably pick Once. I'd definitely go for Endlessly! :) Thanks so much for the giveaway. I'd choose Pushing the Limits. :) Thanks for having the giveaway! I'd probably choose The Forsaken. maybe i would choose : Endlessly.. I would choose Forsaken. Thanks for the giveaway!!! I would love to win Pushing The Limits. Thanks for the awesome giveaway! Pushing the Limits or Endlessly! I'm torn between Forsaken and Seraphina! I would choose Forsaken or Endlessly! I'd choose Pushing the Limits or Seraphina. One of those! Thanks for the giveaway!!!!! I'd go with Pushing The Limits :) Thank you for the giveaway! Pushing the Limits since everyone keeps telling me it's perfect for me! It sounds so dang good! I would pick Seraphina. I love dragons. Pushing the Limits probably! Thanks! I'd choose Endlessly! I can't wait to get my hands on it. Thanks! Most likely I'll choose Pushing the limits or Forsaken. Thanks for the giveaway and for making it international. I'd choose Pushing the Limits! I might be changing my mind, but for right now it's Endlessly! I would like Endlessly. Thanks so much for the awesome giveaway! The Forsaken! Thanks for the chance to win! I'm going to say Otherkin. Endlessly , Seraphina or Pushin the Limit.. Thank u for this awesome giveaway and making it international. I'd love to win Endlessly. I'd love to read Pushing the Limits or Endlessly! Thank you very much great giveaway! I would pick Endlessly can't wait to read that one! Since I've already pre-ordered Pushing the Limits and The Forsaken, I would definitely choose Seraphina, sounds like a really good one. I'd probably pick Pushing The Limits. I would choose Endlessly. Thanks! Probably Pushing the Limits but maybe Once:) Hard to pick! They all look good! Thanks! Either Pushing the Limits or Seraphina. They both sound like amazing books, and I can't wait to read them. Thanks for the giveaway! Definitely SERAPHINA!! I'm sooooo looking forward to that! I would probably choose Seraphina. I'd choose Pushing the Limits or Seraphina. I would probably get Pushing the Limits. 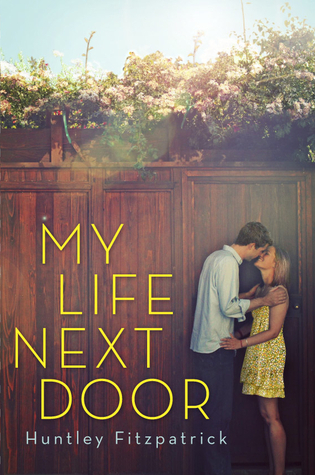 Seraphina, look at the amazing cover! Thanks for the giveaway! Pushing the Limits by Katie McGarry.Thank you for the giveaway! Pushing The Limits looks really good! I think I would pick Otherkin or Pushing the limits. Thanks for the giveaway! I think I would pick Endlessly. Thanks so much for the giveaway! I think I would pick The Forsaken - it sounds really good! Thanks for this amazing giveaway! I would love to win and get Seraphina! What hard choices, I want to read them all LOL I think if I had to choose today it would be The Otherkin or maybe Forsaken or . . . thank you for your generous participation in this fun. I'd like Endlessly... even though I haven't read this series, it would give me an incentive to do! Thank you for the giveaway! 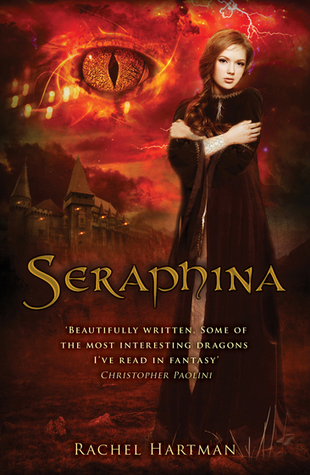 Seraphina is what I'm looking to read the most~ so many interesting books came out in July! I've added so much to my "To Read" list, lol. I would love Seraphina! I've read great reviews & I love reading of dragons! Thanks! I'd pick Pushing The Limits. I'd choose Endlessly :) Thank you! Pushing The Limits. Thank you so much for the chance to win! I'd choose Seraphina or Pushing The Limits! I think I'd choose The Forsaken, thanks! Thanks for the giveaway! I'd love to read Pushing The Limits! Thanks for participating in the hop and for the giveaway opportunity. If I were to win, I'd pick Pushing the Limits.